We don’t often walk the lower portion of the dyke confining Byrne Creek in SE Burnaby, but a fellow had contacted me for information about flood gates impacting salmon movement, so we went down to take some photos this evening. 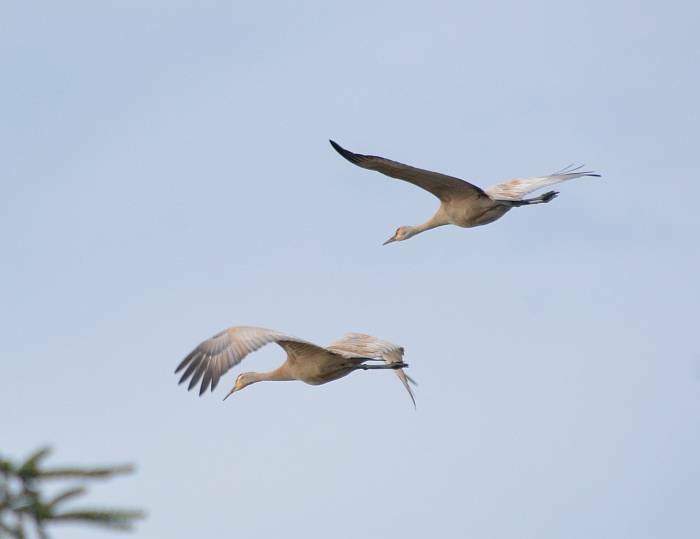 To our delight, a pair of sandhill cranes flew by as we were crossing the railway tracks at Byrne Creek near the Riverview Golf Course. And then for bonus points, Yumi spotted a kestrel high up in an alder. Cool! 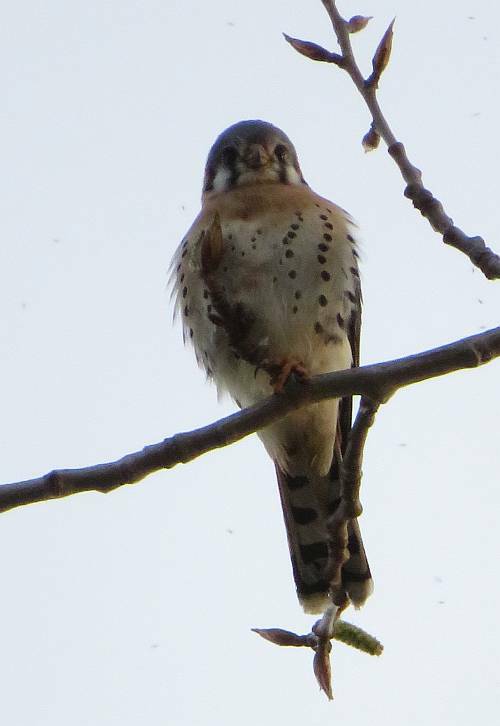 I hear tell that kestrels are among the killer elite, ounce for ounce one of the most efficient avian predators. 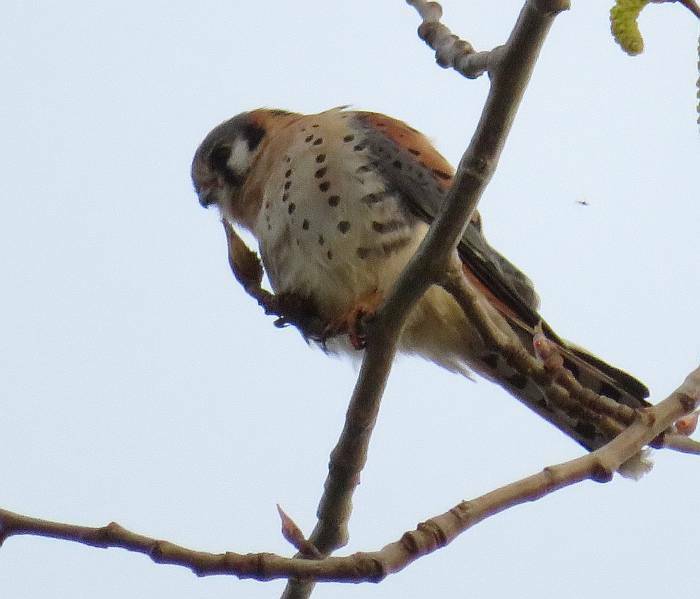 . .
UPDATE (3/29): Birder George Clulow has an informative post about kestrels nesting in Burnaby on his blog.